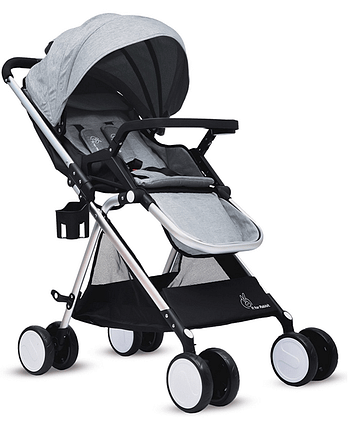 It is one of the most challenging tasks for every new parent to buy a good baby stroller for their baby. Most of the parents often get confused between ‘baby pram’ and ‘baby stroller’. Remember, prams are best suited for the new born babies and for those infants who are yet to learn how to sit. It does not come with any safety arrangements. Whereas, the baby stroller is meant for newborns, infants who are yet to learn how to sit and those kids who can sit upright by their own. Furthermore, strollers come up with safety belts, harness, crotch straps and brakes. Therefore, it is good if you choose according to the need and the requirements. If you are looking to buy baby carriers with respect to travelling purpose, then baby strollers can be a good option for you to finalize. 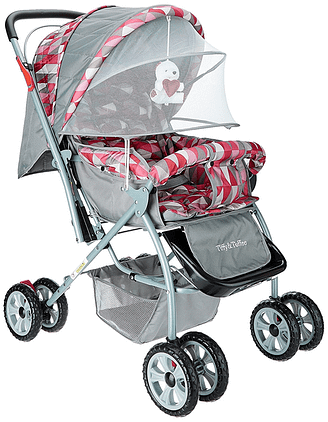 There are many good brands who caters the need of strollers for the baby in India. 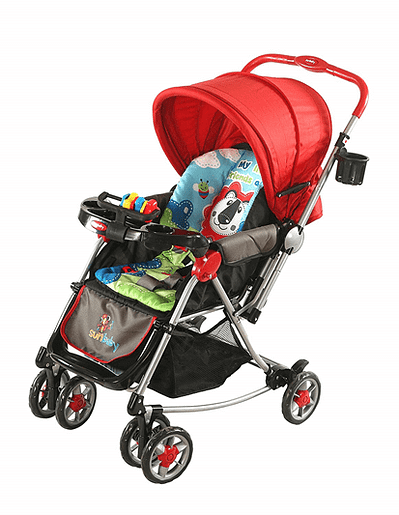 However, the best baby strollers in India for newborns to toddlers are listed below for your consideration. Seat can be reclined to Multiple positions – sitting, reclining (resting) and lying (sleeping) as per comfort of a baby. Available in 7 different colorful shades. Reversible handlebar – Let the baby see his parents while strolling. 5-point safety harness for best child safety. Footrest can be adjusted as per the comfort of the baby when sitting and sleeping. 360 Degrees front wheel swivel, with front and rear wheel-brake. Comes with detachable food tray. 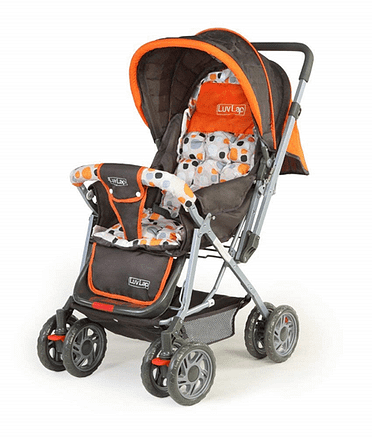 Recommended Age and Weight Capacity – 0 to 36 months weighing up to 15 kgs. Feather Light – It has air light aluminium frame making it light and durable. Seat can be reclined to multi-position as per comfort of the baby. 100% Linen Fabric – The fabric has high strength and quickly dries out when it gets wet. It has high air permeability allowing baby skin to breathe comfortably. Front wheel and suspension – Have lockable front wheels with suspension for a smooth ride. Easy to fold, handle and carry. 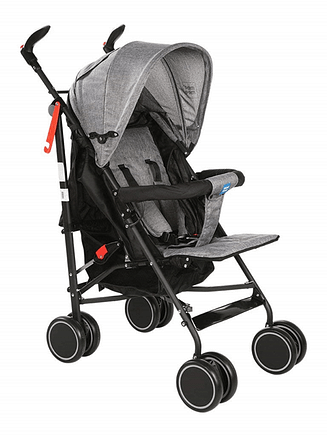 Adjustable leg rest to make your baby comfortable while strolling. Comes with huge storage basket. Recommended Age and Weight Capacity – 0 months to 3 years weighing up to 20 kgs. Multi-position seating – backrest and foot rest making it ideal for napping or relaxing. Stylish and compact design with padded seat for extra comfort. Sturdy wheels for extra stability and balance. 5-point Harness with shoulder pads. Fold-able canopy with Peekaboo window. Available with Food, bottle and tissue tray. Recommended Age and Weight Capacity – 6 months to 3 years weighing up to 20 kgs. The product has been certified for the Safety. Light Weight, Easy to carry and handle. Got 2 point Harness to secure your little one while strolling around. Comfortable Sitting Position with full Canopy. Comes with compact umbrella fold which makes it best to store and use during travel. 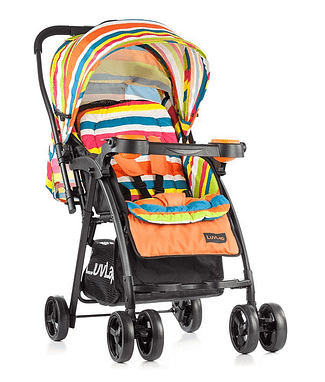 Best affordable stroller once baby starts to sit itself. 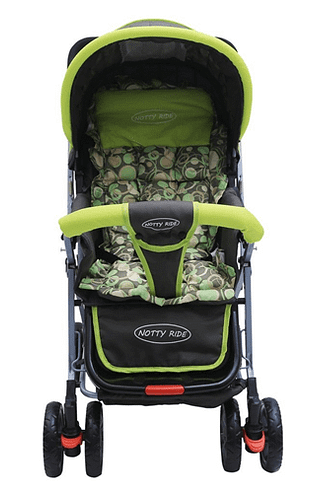 Recommended Age and Weight Capacity – 6 months to 2 Years weighing up to 15 kgs. Multiple seating positions – Gives most convenient seating angle to your baby. Brakes in both rear and front wheels. Large Canopy to protect your baby in every weather condition. Ideal for busy urban life, shopping or travelling. 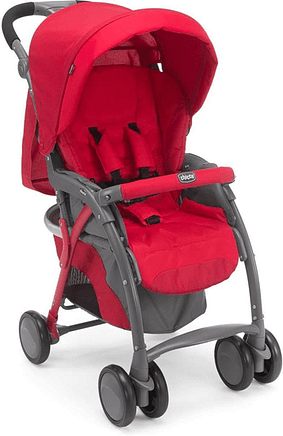 Light weighted stroller with height adjustable handle. Adjustable sunshade with UV coated hood. 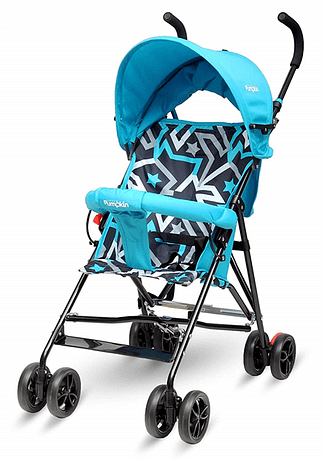 Chicco India is one of the premium brands, so their stroller would be best to use when it comes to safety of a baby. 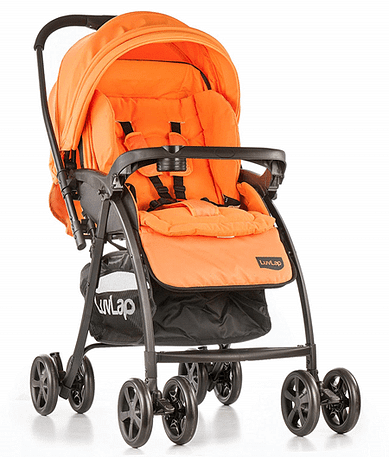 Recommended Age and Weight Capacity – 0 to 3 years weighing up to 20 kgs. Seat can be reclined to Multiple positions – Sitting, resting and sleeping. Available in 7 attractive and colorful shades. Reversible handle with soft rubber grip. Large storage bucket and back pocket. Have back wheels with breaks. Adjustable foot rest and have canopy with mosquito net. Maximum weight recommendation – 15 kg. Recommended Age and Weight Capacity – 0 to 3 years weighing up to 20-22 kgs. Available in 6 vibrant shades. Comes with 3 positions for Backrest and 2 positions for foot rest. 3-point safety harness – a system of belts to hold your baby to prevent falling or injury. Large basket and Back pocket. One-touch Rear wheel brakes and 360 degrees front wheel swivel. Recommended Age and Weight Capacity – 3 months to 3 years weighing up to 20 kgs. 3 Positions Reclining – Sitting, resting and sleeping. 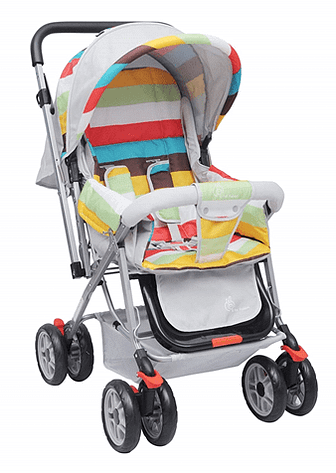 Reversible handlebar – Allows a baby to face parent while strolling. 3-Point Safety Harness for the better safety of a child. Wheels with brakes – both Rear and Front. Comes with attachable mosquito net, to keep baby safe from bug bites. Window Canopy – to keep a watch on a baby. Available in 18 different trendy and smart shades. Seat can be reclined to 3 positions i.e. sitting, resting and sleeping which gives your baby most comfortable ride. 5-inch Front wheel with best suspension. 5-point safety harness for the best safety of a baby while strolling. 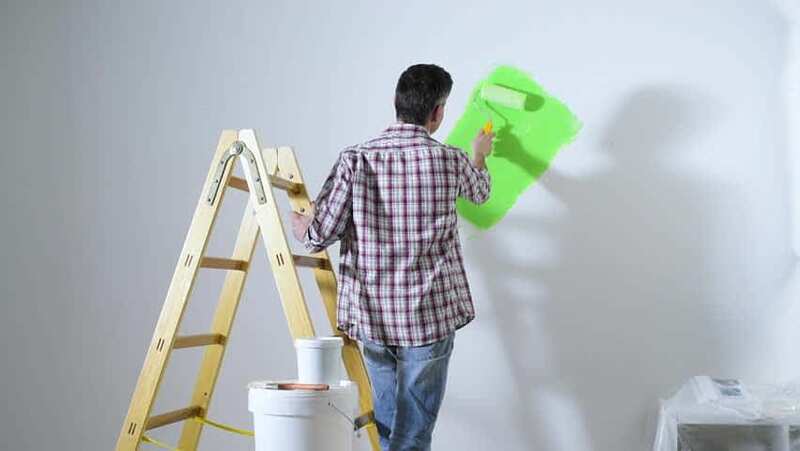 Reversible handle – Easy and safe. See your baby’s smile while strolling. Available in 3 attractive colors. Comes with adjustable leg rest and huge storage basket to keep whatever you wish to while strolling or going for shopping. 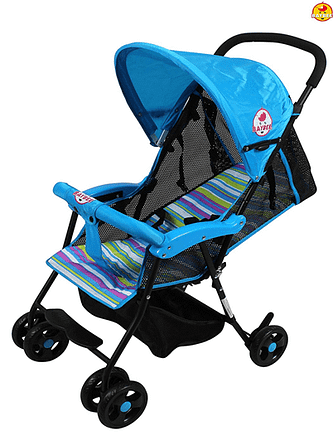 Compact and portable stroller having 3 Position seats – sitting, resting and sleeping. 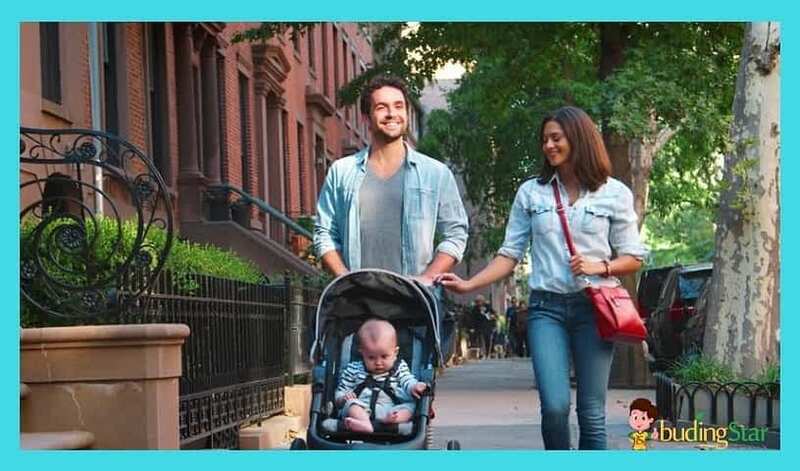 Reversible Handle – enables a parent to see their baby while strolling. Comes with canopy that protects your baby from heat. Mosquito net and huge storage basket at the bottom. Recommended Age and Weight Capacity – 0 to 36 months weighing up to 20 kgs. Available in 5 funky colors. Best in terms of child’s security – with 5-point harness. 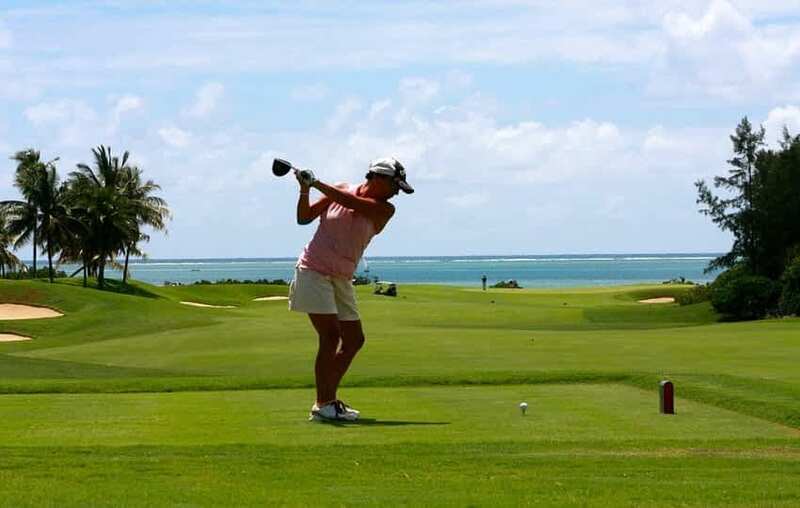 There is only one setting- sitting upright. Total 8 wheels and Brakes at rear wheels. Easy to fold and for storage. Easy Maintenance- washable cushion seat. Recommended Age and Weight Capacity – 6 months to 36 months weighing up to 15 kgs. Seat can be reclined to multi position – sitting, resting and sleeping. Safe for new born baby. Certified for best safety – 5-point safety harness. Meal tray with cup holder – which is removable. Wheel lock with adjustable leg rest. Reversible handlebar enabling a mother to see her baby while strolling. Have multi-position seating that enables a baby to sit up, rest and sleep (at a 180 degree sleeping position). 100% linen fabric – which is comfortable for baby’s skin. Come with removable Mosquito Net and huge basket for storage. Side padded cushion seat for extra comfort. Comes with multiple position seat reclining- sitting, resting and sleeping. 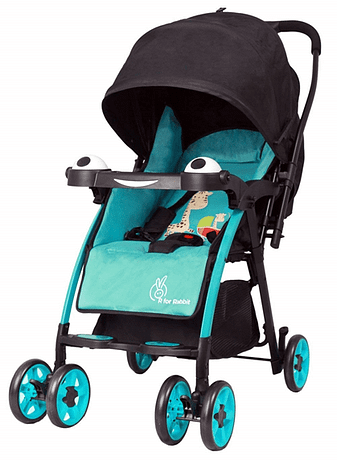 Reversible handlebar – allows a baby to face towards the parents while strolling. Extended Canopy – provides better shield protection from direct sun rays and rains. 5-point safety harness – belts for the best security. Side padded extra cushion seat. Wheels with brakes for convenient usage and safety. Comes with detachable Bottle Holder with Safety Bar and adjustable foot rest. Have multi-position seating that enables a baby to sit up (at 115 degree sitting), rest (at 150 degree resting) and sleep (at 170 degree sleeping position). Double padded soft cushion for extra comfort. Reversible Handlebar that enables to see baby while strolling. Detachable colorful Toy Rattles and bottle holder also included. 3-point safety harness and 6 inches front swivel wheels. Comes with additional Pockets, storage basket, removable food tray, adjustable food rest and removable mosquito net. Comfortable multi-position seating – Sitting, reclining and sleeping. Brakes at both front wheel and Rear wheel. Reversible Handlebar enables baby to see parent while strolling. Recommended Age and Weight Capacity – 0 to 36 months weighing up to 25 kgs. Join our Facebook closed group called “Parenting Mom Style” only for Moms to share experiences and queries. Take a test-push. This test is important to check the handlebar. Most of time it feels pushing a stone if the handlebar is not good and high enough. The smoother push and pull will be, the more comfort you will feel. Try it before how to fold. Sometimes this becomes very annoying if the stroller is not getting folded easily when it is necessary. So, check for the easy folding option and get yourself understood about the procedure. It will let you understand how this can be easy or difficult to fold a stroller. 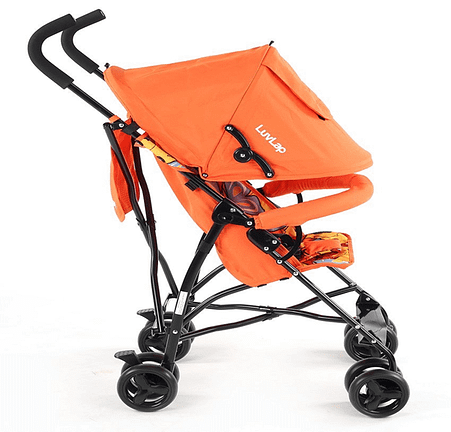 If you are purchasing online, then do check the videos or illustrations how the stroller is folded. Make sure that the stroller is not heavy enough. 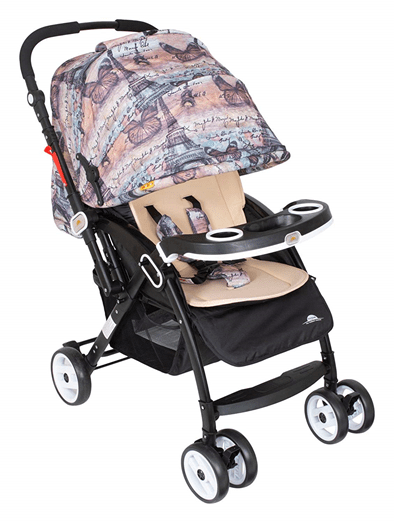 As the lighter stroller are easy to push and travel. If you are purchasing online, do check its weight and then purchase it. Lastly, do check the maximum recommended weight of a baby for the stroller. Your baby should come into that weight bracket otherwise it will be of no use and the safety becomes the big issue. If you’re looking for a sturdy, lightweight and pocket-friendly stroller for your baby, then you may choose from the brand ‘R for Rabbit’. This brand is famous for its safety harness and it allows the maximum recommended weight of baby. Furthermore, the stroller is lightweight and sturdy material. 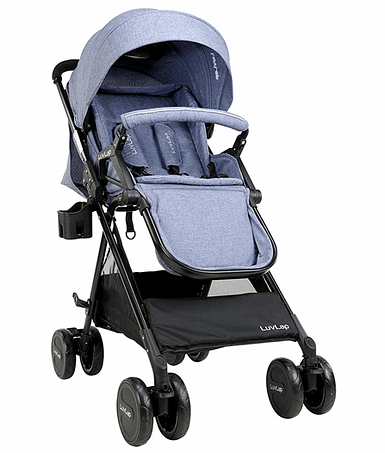 On the other hand, if you are looking for the strollers with premium looks and quality along with safety mechanism, then you may choose the strollers from the brand ‘Luvlap ’. 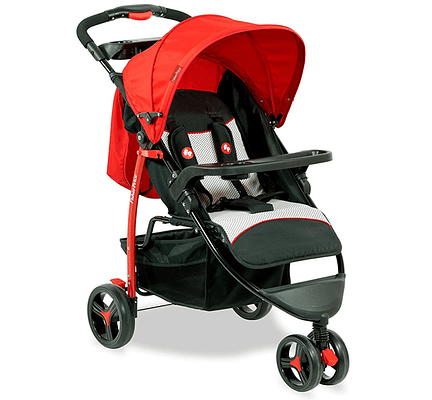 This brand strollers comes with premium features and best in class security and safety attachments. Their anti-shock mechanism is second to none.